We all harbor secret fantasies of moving away, starting a café, and feeding people. Every month, Sarah Kieffer from The Vanilla Bean Blog will be reporting from the Blue Heron Coffeehouse in Winona, Minnesota, and sharing stories and recipes from its owners, the Wolners. Today: Is the secret to this soup sorcery—or is it just cream cheese? I’ve said it before and I will say it again: Colleen Wolner is a soup whisperer. Her soups are magic, perhaps even witchery. On the surface, her soup-making seems like the typical process: She chops onion and celery into a small dice and slices the carrots; mushrooms are cleaned and quartered. Her wooden spoon stirs just like anyone else’s does in anyone else’s kitchen. But while she stirs her cauldron, there must be some secret incantation being whispered. Maybe those Joni Mitchell lyrics Colleen quietly sings are really the lines of a spell for perfect soup. 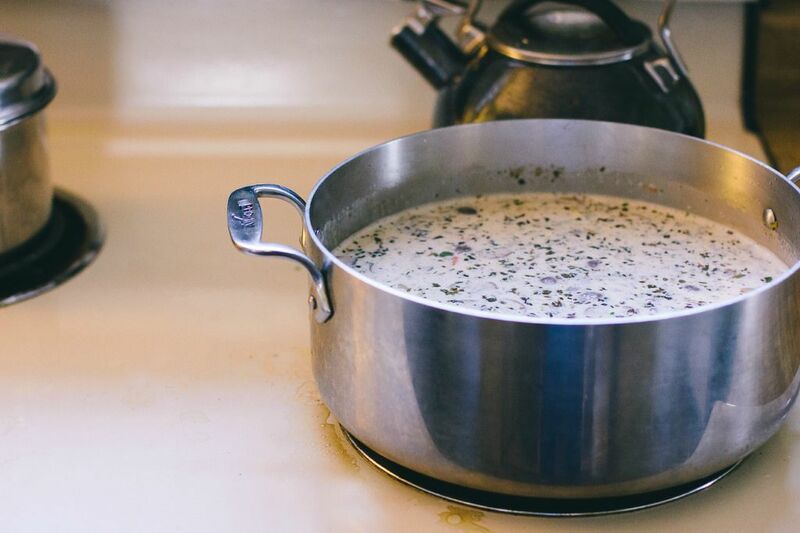 Because when all of the vegetables have softened and released their liquid, when the wild rice has been added to the pot, and when the cream cheese has been blended with the basil, thyme, and stock until thin and perfectly creamy, there is utter perfection gently simmering on the stove. But it makes no difference to me if the soup is enchanted or not—I sit down at the table with my bowl full to the top. All the vegetables are cooked to perfection: tender but still holding their shape. The wild rice adds texture and a slight bit of chew. 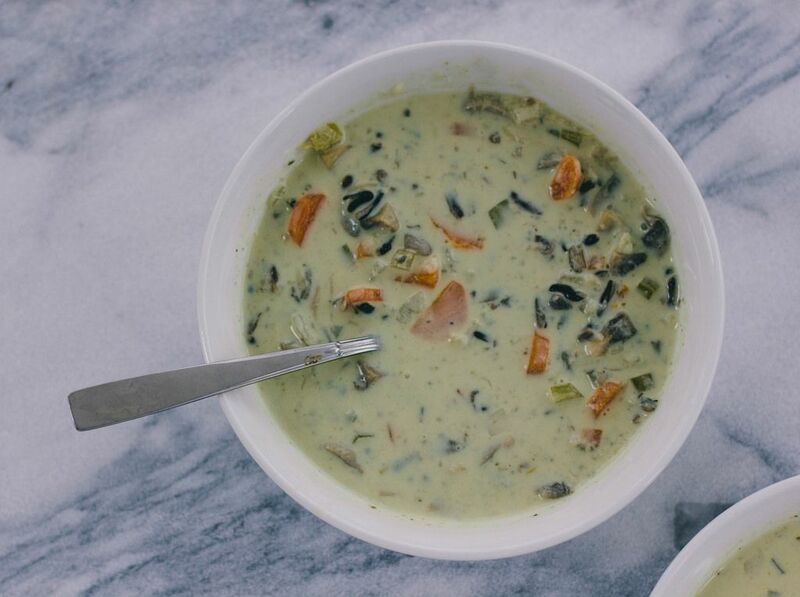 The soup is creamy, lemony, and basil-y, and all these tastes together in one bite on my spoon remind me that spring is finally here, and there is comfort in the simple pleasure of soup. 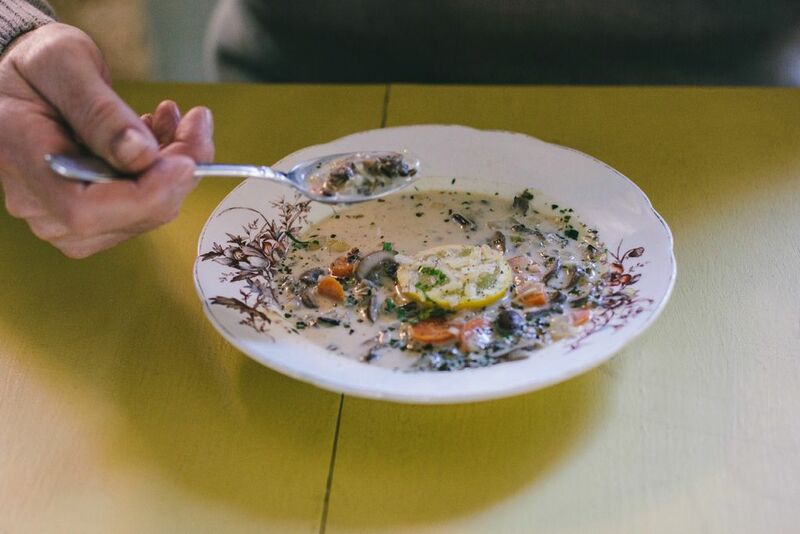 Check out the "Vegetarian Epicure" or "Love Soup" by Anna Thomas. 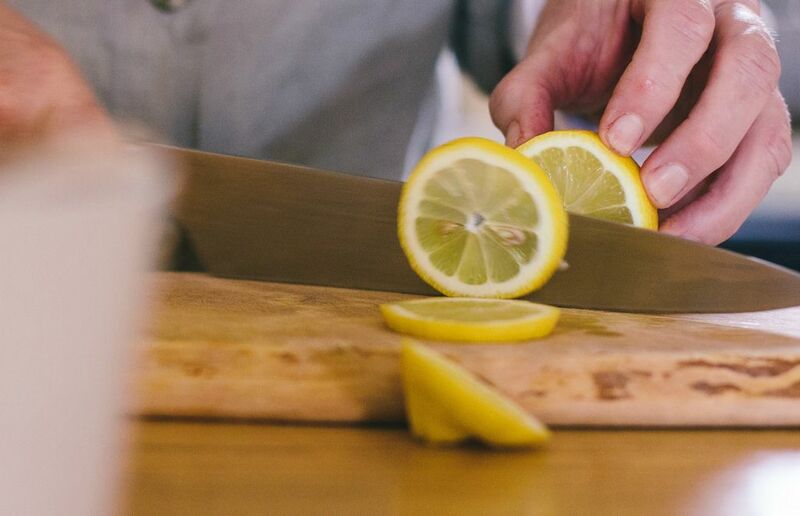 She has been adding a final touch of lemon juice to soup and many recipes since the 1970s! All her books are considered super classics. Oh man this is the ultimate soup that Russians will enjoy. I haven't tried cream cheese but they did introduce me to putting sour creme in my soup, amazing stuff! A question Sarah,rather than a comment,please...have you had success freezing this wonderful recipe ? I haven't ever tried freezing it - I haven't had a lot of luck freezing cream-based soups in the past. I find milk products often seperate and get watery when they are frozen. I'm sorry I'm not much help!